I am a big fan of the Television show, HGTV. In fact, I love to see the makeover experts help home owners remodel their homes. In fact, my dream is to help Child Care Business Owners makeover their businesses. If you are no longer satisfied with your Business, its time for a Makeover. Moreover, if you need to get Motivated and Inspired again, This is Your Opportunity to Makeover You (as a Business Owner) and Your Business!! I was inspired to host my upcoming Teleseminar as I worked to makeover my very own Child Care Business. I am in the process of eliminating materials and practices that no longer serve my business; revising/updating new systems, working on me and embracing the newness of a Overall Business Makeover! In 2014, I will be celebrating 15 years as a Child Care Business Owner and I am ready for a Business Makeover, what about You? Are you tired of struggling with Enrollment Building? Do you have a Desire to expand, yet you keep finding excuses to stay in your home? Can you use some new Business Management Skills? Have you neglected to take care of you? Can your Business Brand use a Makeover? If you answered “yes” to any of my questions above, you don’t want to miss my upcoming Child Care Business Owner Teleseminar. Be sure to join the event email list for Business Makeover tips from my Guest Coach (Andrea Dickerson, Founder of I Own A Daycare Network), along with tips from my Virtual Makeover Team (Deborah Francis, Business Coach & Author of Joy of Healthy Living) and (Catrice Jackson, Best selling Author & Boss Lady of Branding). There is one thing that I know for sure and that is….IT TAKES A TON OF ENERGY TO OWN A CHILD CARE BUSINESS! The first time that I discovered how emotionally draining the business could be was in 1999. I was changing a babies diaper and while she was crying, I felt like crying too. I was new to the business and did not realize how much energy it took to care for children. Thank God…today I have discovered how to be more energized, so that I am emotionally able to handle what comes with the business. In fact, I must say it has taken me 14 years to discover how to be more energized and my hope is that it will not take you that long. Are you drained at the end of your day? Do you find that you just do not have the energy anymore to handle issues with parents, staff or even deal with fluctuating enrollment? If you answered yes to any of the questions above, I want to share with you 4 ways to be a more energized Child Care Business Owner. If your focus is on too many things at one time, this will drain you mentally. Try to focus on one thing at a time and refrain from multi- tasking. A focused mind is an energized mind. When you intensely focus on an issue for a long period of time, it has the ability to steal your energy. For example, a parent may decide to withdraw a child from your program without giving a notice. If you get upset, you have given that situation too much energy. Simply, stop, focus, call the parent and figure out how you can solve this problem with out getting upset. In summary, think energized thoughts, relax more, practice being centered, enjoy each day in your business, pay attention to your emotions and strive to be more positive! 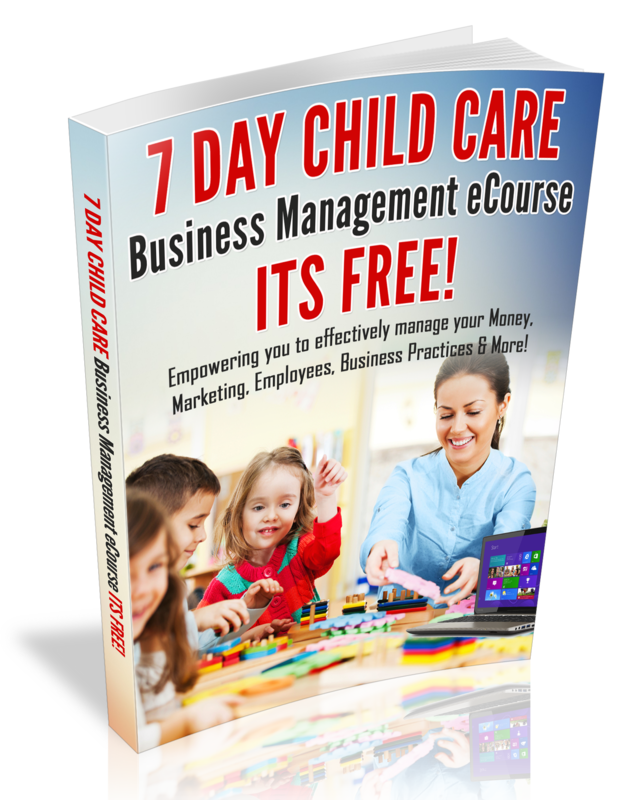 I hope that I have empowered you to Be an Energized Child Care Business Owner! I look forward to reading your thoughts about this blog post.